As I am doing pretty much all of the cooking at home at the moment (some outstanding successes, some outstanding failures but mostly edible), I do most of the grocery shopping as well. This entails wandering around the supermarket and selecting the food for the coming week. The selection process consists of checking the package for breakages, reading the information about the food on the label, checking the cooking information and so on. The food information is sometimes the most confusing and interesting. For example, I read the label on a normal and a diet product, and see that the diet product has less fat, but more sugar than the normal product. OK. I’ll play that game – what is more damaging if you are trying to lose weight, sugar or fat? However, the best label I have come across so far is the one illustrated. I was looking at hot dogs (footy franks, frankfurts) for something different for lunch tomorrow and came across these. Everything was proceeding well and the food information all seemed OK until I noticed that the information provided totals for the entire package, and then totals for a standard serve of the item. So far so good. It all seemed good for the hot dogs, fat levels not too high, carbohydrates OK and so on. Then I noticed that the packet told me on the food information that it (the packet) contained 12 standard servings. Of course, this is what the food information is presumably based on. The problem with all this? 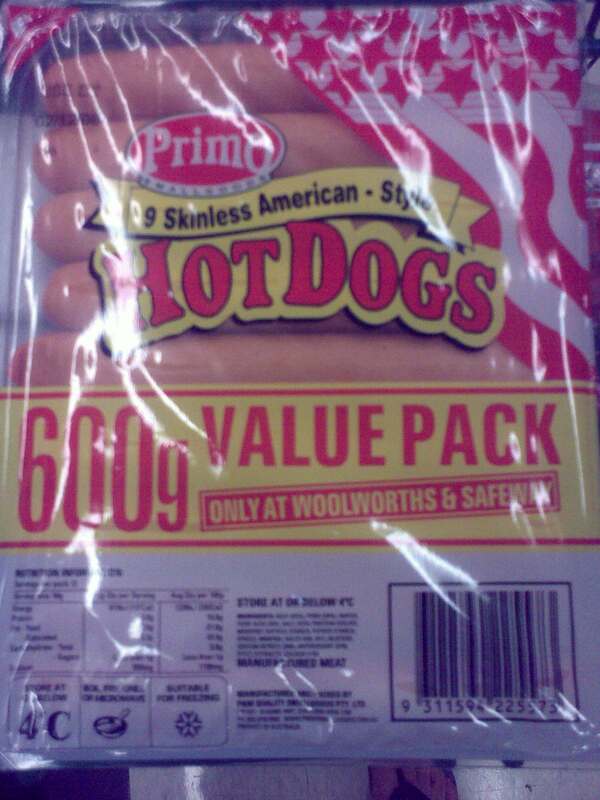 There are only 9 hot dogs in the packet! So, do we cut one quarter of each hot dog off before eating and then join those quarters together with some magical food adhesive to make the missing 3 hot dogs? Perhaps it is best to just accept the fact that no matter what the label says, hot dogs are not healthy even though they taste good. Now, where’s the mustard and sauce?